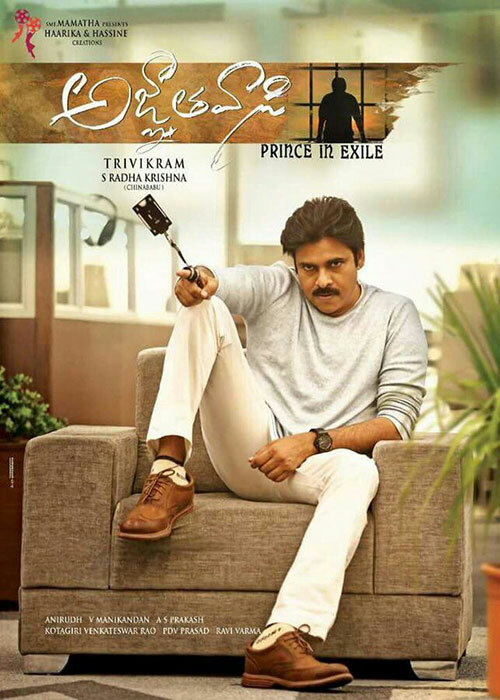 BlueSky Cinemas, who delivered three $2+ million Telugu movies in Overseas market now joining hands with LAtelugu to bring this prestigious project of Power Star Pawan Kalyan’s 25th movie PSPK#25 (Untitled) under the direction of Tivikram Srinivas into overseas market. Tollywood's Wizard of Words Director Tivikram's PSPK#25 is a full length clean family entertainer where sizzling beauties Keerthi Suresh and Anu Emanuel playing female leads followed by Khushboo in a key role. Music is being composed by Kolaveri D music director Anirudh Ravichander. Movie is scheduled to release on Jan 10th, 2018 with never before Premieres on Jan 9th (Tuesday). BlueSky Cinemas is excited to continue their bonding with Haarika and Haasine creations Production house after their last release A…Aa. Our sincere and heartfelt thanks to Mr. Radhakrishna and Mr. PD Prasad for giving this opportunity to BlueSky Cinemas and LAtelugu. Also, our extended thanks to Mr. Vamsi. Please feel free to what’s App or call one of us to be a part of this prestigious project.